We'll meet and get to know each other. We begin with the vision of the event, including your personal style, theme and message. We'll talk about our services and select one that will be a great fit for your specific needs. We want your event experience to be easy, stress-free and one that you would do all over again if you could! 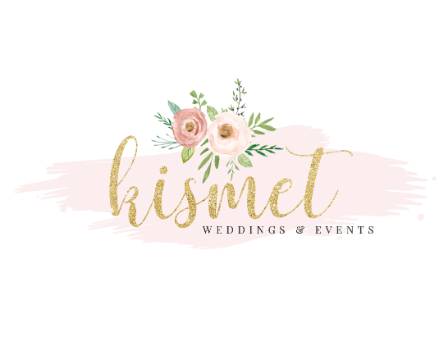 Kismet has developed a network of the best and most creative partners for all types of events. We take the guesswork and uncertainty out of working with unknown partners by carefully vetting each one to ensure the quality of their service and /or product. With each preferred partner, you will have the peace of mind and receive the best value pricing. We are often asked how much will my event cost? The short answer is, as little, or as much as your budget allows. We have produced weddings with budgets ranging from $2,000 to $50,000. If you have not set a budget we can help you build one and guide your selections to fit in that budget. If you have a dream...we can help make it come true.